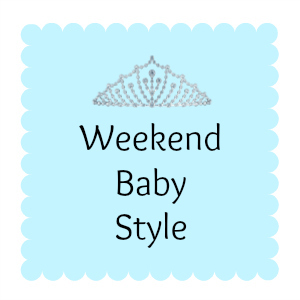 Welcome to week 8 of the Weekend Baby Style linky. We are thoroughly enjoying all your entries every week and had our record number of link ups last week - 27! Thank you so so much to all of you who keep coming back and linking up with us. We had 2 favourites from last week - couldn't pick just 1! Little Rosalie's tartan outfit all the way from Macy's in New York and the gorgeous Aria's Gingham outfit complete with moccasins. Go check them out if you haven't already seen them! A simple but fun little ensemble going on here. These photos don't do this little cutie of a jumper justice at all. It's got a lovely knit effect with a type of cable knit down the front. The shape is really nice too. I would wear it if they did it in big people sizes. 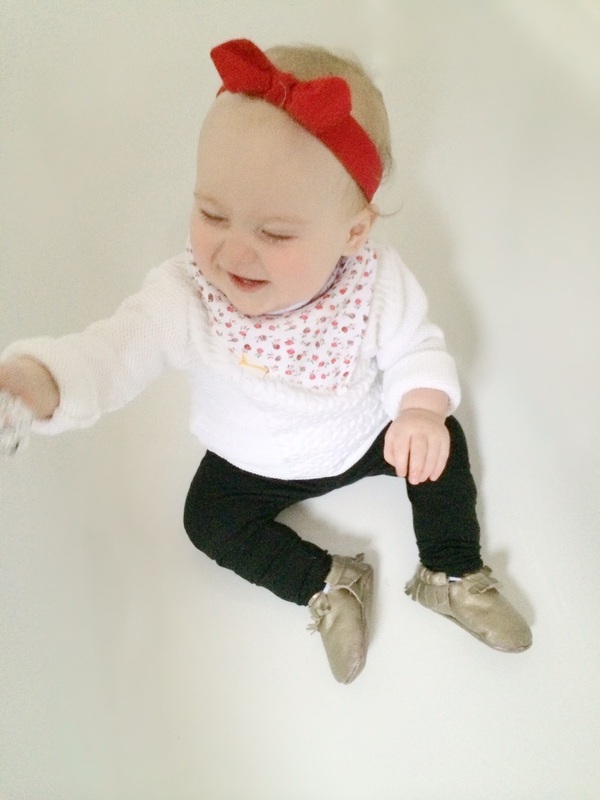 Really like this dribble bib from Funky Giraffe. The floral pattern is really sweet and matches nicely with the headband from Next. I'm quite enjoying Isla's random curl in these photos. I just realised her top looks super fluffy with this exposure on the photo, sorry about that! I love these leggings from Baby Gap. Picked them up yesterday when shopping with a friend and I literally could have spent £100s in Baby Gap. They have some really really good stuff in at the moment. They even have a top with a Facebook like thumb on it in the boy's section - perfect for our bloggy babies! We were sent this Snoodie to review, from Mama Designs Ltd, and I absolutely love it. It's such a great concept and a really nice shape to go with you baby's outfits. I find sometimes the triangle dribble bibs look a bit funny with tops and they can cover details on your baby's top, so these Snoodies are a perfect shape to rectify that problem. Watch out for a full review on it next week, where I'll let you know all it's fab details. 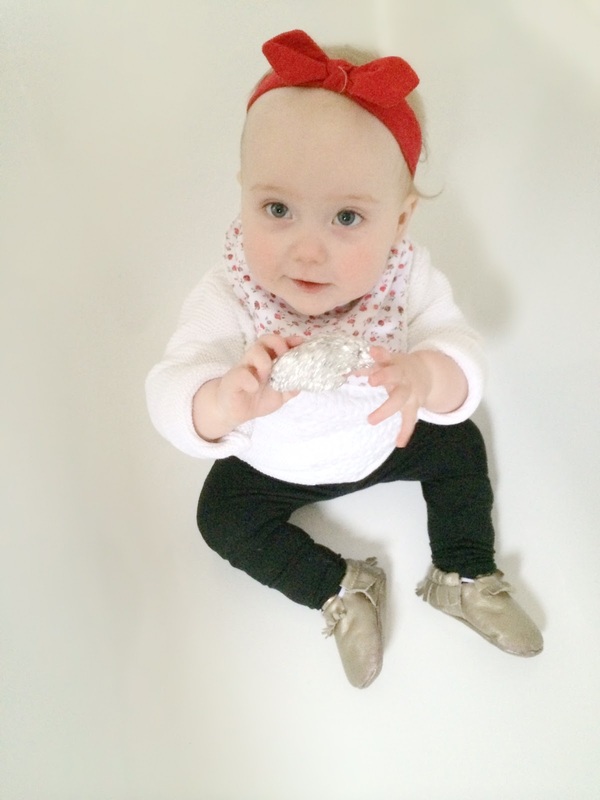 For now, you can just check out how cute it is on this outfit! Oh my gosh adore those leggings so much!! Such a cutie!